If recent trends in inbound marketing have taught us anything, it’s that static, self-promotional content is no longer a suitable “strategy” for brands in 2017. In other words, the days of “spray and pray” content, blasting endless messages into the void and hoping that something sticks, are over. The true power of marketing today lies in live events, not scheduled messages. While there’s certainly a time and place for static content and plenty of tools out there to help us expand our reach (think: email marketing and social scheduling), audiences crave fresh, personalized messages in lieu of automation. This rings true in the realms of social media and content marketing alike. Likewise, in an era where our customers are constantly being bombarded with sales pitches and “look at me” posts, live events will ultimately be key to both educating and engaging our audience. Perhaps some of the most eye-opening data to support the popularity of live, interactive content comes from a new benchmark report from ClickMeeting. Analyzing data from well over 550,000 webinars, ClickMeeting noted the rapid rise of webinar attendees as a clear signal to marketers about the untapped potential of marketing in real-time. In short, webinars particular tick all of the boxes of what makes content compelling for today’s audiences. Let’s start with the explosion of video-based content. Video is projected to account for 80% of all online traffic within the next two years; meanwhile, consumption is at all-time high from today’s users. Coupled with the fact that video has one of the highest conversion rates versus any other type of marketing, the new-found popularity of webinars is rooted in data, not speculation. While video may have at one time been seen as an accessory to marketers, the writing is on the wall that it’s now or never in terms of embracing visual content. This is also true for mobile users, as ClickMeeting notes that one-quarter of all webinar attendees access their platform on the go. But why not stick with exclusively with a video platform such as YouTube which is proven in terms of traffic and SEO potential? Easy. A lack of interactivity. Interactivity is the missing piece of the puzzle for a bulk of videos currently circulating the marketing space. ClickMeeting notes that attendees stick around webinars longer when they the opportunity to engage via features such as live chat and Q&A. These features, exclusive to live broadcasts, are obviously absent from a traditional YouTube clip which represents a passive experience for viewers. You’d be hard-pressed to find many users willing to sit through an hour-long YouTube tutorial. However, the fact that ClickMeeting notes the average length of a webinar sits at just under one hour, it’s clear interactivity is key to making sure viewers stick around for the long-term. The longer your attendees stay glued to the screen, you more likely they are to hear your message and engage with it. On the flip side, the most popular YouTube videos are bite-sized and rarely go over five minutes. Similarly, through teaching people via webinars versus hoping your leads land on your traditional CTAs via written content, you dump the sales pitch and start building up your name as a resource. Even with tepid numbers and initial attendance, simply having the tools in your toolbox to teach your audience is enough to make yourself stand out amongst the competition. But what about real-time platforms such as Facebook Live which seem to be all-the-right right now? Well, for starters, webinars are a completely different beast. Webinars are inherently presented as something compelling and problem-solving versus a “day in the life” livestream you might see on Facebook. Comparing a formal presentation with facts, figures and data versus someone conducting a Q&A from their garage is like comparing apples and oranges. On the flip side, webinars coupled with buzz-worthy titles and enticing tips (“10 Foolproof Strategies for Facebook Leads” or “How to Escape the Spam Folder Once and For All”) have high potential for sharing, opt-ins and link-building. Besides, the ability to market and generate leads via webinars doesn’t end when your broadcast is over. For example, replays of your webinars can be used as future lead magnets; likewise, you can use small clips from your past webinars as content for your static YouTube channel. Carefully crafted presentations represent valuable resources that your audience can come back to time and time again. At the end of the day, that’s what it’s all about: creating value. 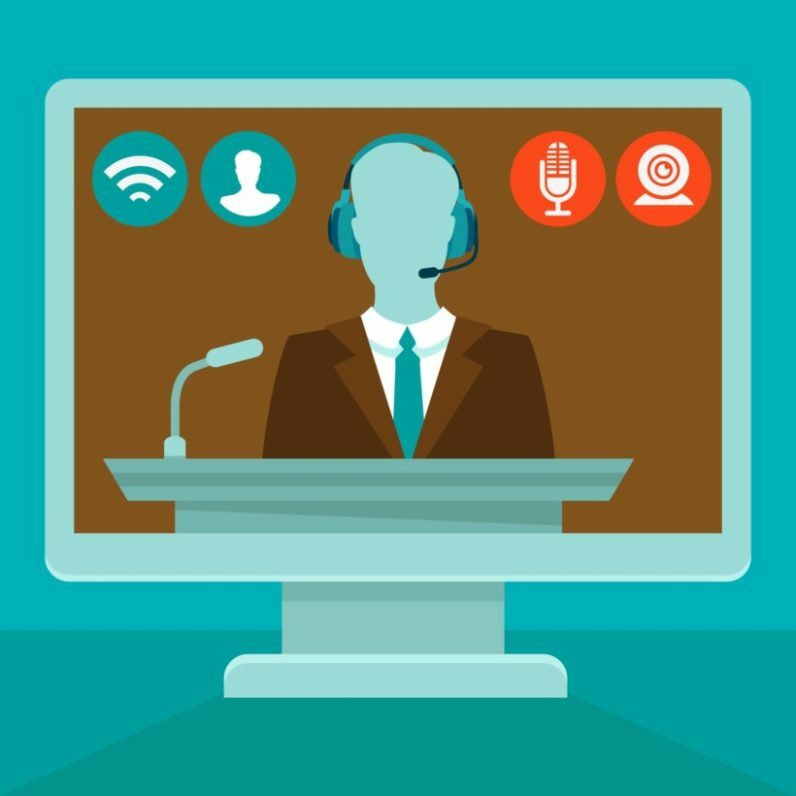 Beyond their list-building potential and positioning power, webinars can be a treasure trove of information that creates one-of-a-kind opportunities to build relationships between your brand and your audience. Audiences today need to be nurtured and marketed to in real-time. As such, modern marketing can’t be treated passive process given the rise of new platforms to encourage interaction with consumers. Treat your content like an event that your audience is expected to show up to and behold versus something they can simply scroll past. Platforms such as webinars offer the best of both worlds when it comes to generating inbound traffic and making a name for yourself. Read next: Why am I still playing "spot the female" at tech conferences?